Two new shareholders have just made their official entry into the capital of Nachtigal hydro power company, the company responsible for the construction of the Nachtigal hydroelectric dam, north-east of Yaoundé. The Nachtigal hydropower project is attracting more and more interest from foreign investors. Africa50, an investment fund of the African Development Bank (AfDB), and Stoa Infra Energy, an investment fund specialising in infrastructure and energy in Africa, Latin America and Southeast Asia, come to join the capital of the Nachtigal hydropower company (NHPC), the company responsible for the construction and development of the project. 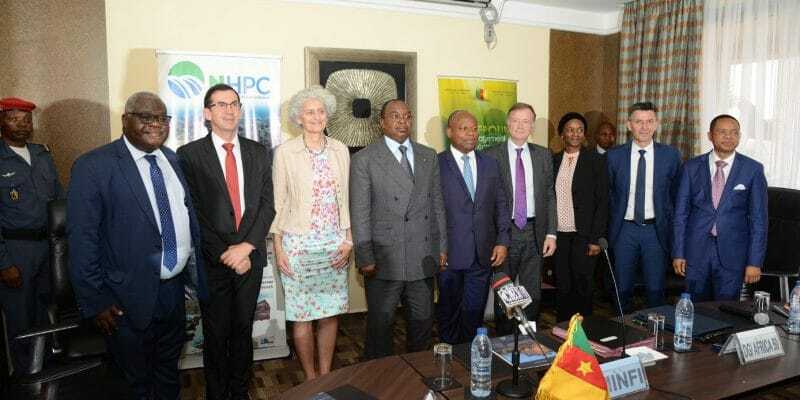 To allow these two new shareholders to join NHPC, the International Finance Corporation (IFC) and the State of Cameroon have divested respectively one third and one half of their shares. After this change, NHPC shareholding is now as follows: 40% for Electricité de France (EDF), 20% for (SFI), 15% for the State of Cameroon, 15% for Africa50 and 10% for Stoa Infra & Energy. “This energy infrastructure will be Africa’s largest privately owned hydroelectric power station. It will support ongoing reforms in the energy sector in Cameroon and serve as an example for the development of other similar projects in the future, “said Koffi Klousseh, Project Development Director at Africa50. For the Cameroonian Minister of Finance, “the official entry of these new shareholders is an important step in the process initiated for the disbursement from December 19, 2018, of the necessary funds for the effective start of the construction of the dam,” said Louis Paul Motaze. The ceremony held in Yaoundé on December 4, 2018, also saw the signing of the contract formalising the partnership between NHPC and the National Electric Power Transmission Company (Sonatrel). The latter will transport electricity produced on a 50-kilometre line to the Nyom 2 transformer substation, north of Yaoundé.With a total cost of 1.2 billion euros, the Nachtigal hydroelectric dam (with a capacity of 420 megawatts, or 30% of the country’s installed capacity) is the cornerstone of Cameroon’s strategic plan for the development of the electricity sector. Nachtigal is a national priority to secure the country’s electricity system. The project will improve and secure access to electricity for the population while contributing to the low-carbon transition.